RockFloss is a new, reusable mobility tool that can help you move better and with less soreness. 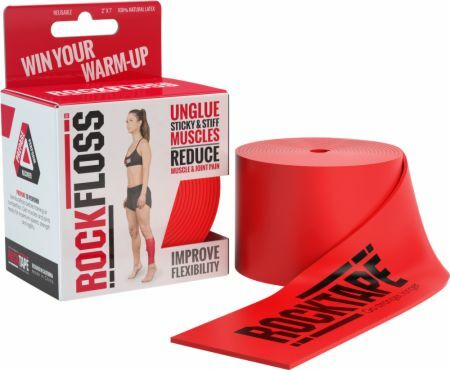 RockFloss is a simple, latex, elastic band that fits easily in your gym bag or backpack. It’s easy, convenient and reusable. RockFloss uses the science of compression and fascial shearing to help ‘unstick’ muscles and joints so they move better.